Inspiring Success Story of Jumbo King - Success Story Of Jumbo King – The Indian Burger! We live in a food-crazy nation obsessed with mere thought of intake and we literally mean that! You open a restaurant or a fast food joint here and if your quality is good, it is bound to run. At every nook-n-corner you will find something to eat. This is one industry that will never go down. Food industry is by-far the safest to start-off a business in; with appropriate know-how, obviously! But as they say, everything has its pros and cons, and so does food industry in India! This is one industry that is completely unorganized and at many extents unhygienic and for years it was being run like that. But this scenario changed when a man named Dheeraj Gupta, left his safe-option of family business aside to start-off his own venture, JUMBO KING! And if you’re thinking, their journey was as smooth as it looked on the graph, then obviously you’re wrong! They saw enough ups-n-downs, to reach where they are. Let’s give you a succinct flashback of “life before JK a.k.a Jumbo King”! Dheeraj completed his MBA from Symbiosis, Pune, around some time in 1998 and decided to support his family business of hotels, catering and sweet shops. He initiated that by exporting their sweets to markets with heavy India population, like Dubai. Which although ran decently for a while but eventually had to be shut down in 1999. After the shutdown, a de-motivated Dheeraj took a trip to London. There he came across burger king franchisees and the people who gaga over it. That is when he got the idea to implement a similar concept of fast-food business in India but with a desi flavor to it. With that genius thought in mind he quickly came back to India. He explained the same to his family and after much disapproval, scoffs and disagreements; he finally borrowed INR 200,000 from his family and thus on 23 August 2001, entered the ever-cluttered and disorganized fast-food industry. He began his first outlet in Malad station in Mumbai, with the name of “Chaat Factory” and introduced multiple fast-food items on the menu. He operated the outlet with his wife and four employees and in the first six months, experienced a turnover of only INR 3,000-4,000 a day. At the same time, although the price of their Vada-Pav was INR 5.00, a little high as compared to the INR 2.00 of innumerous Vada-Pav sellers, it managed to grab the eye of the buyer and soon became the best seller. This caught the attention of Dheeraj who then stopped all other items and diverted all his focus to Vada-Pav and thus gave birth to what is now called JUMBO KING! As interesting was their birth, equally breath-taking was their rise! With the launch of Jumbo King, they were now in direct competition with the countless or roughly 20,000 Vada-Pav Sellers in Mumbai. Jumbo King’s biggest challenge at that time was the survival of the business on one single item. That meant to reach to a daily sale of INR 10,000; they needed to cater to approximately 400 customers. Very intelligently Dheeraj using his MBA skills, derived a business model wherein the entire manufacturing would be outsourced and shall be supplied on a daily basis. This model contributed greatly in reducing the costs of the business and helped survive with ease. Opening a fast-food outlet in an area near-by the railway station, helped them gain huge amount of traction. With this success, he soon borrowed another INR 500,000 from his brother and opened his second outlet in Kandivali, which was followed by the third outlet in Andheri, after the second succeeded. Whatever money they earned a major chunk of it went to support the business and due to that strategy in place, the business never had to face darkness of failure. Jumbo King was now getting famous amongst the masses and it was the time to take a different route. This is when he decided to launch a franchisee model; wherein they offered franchisee to public with a minimum requirement of 12-15 lakh as investment which covered the non-refundable franchisee fee and refundable deposit followed by cost of premises of approximately 300sq.ft shop/outlet at a prime location, back-end service, training, maintenance, control, marketing and system upgradation. And by 2004, the retailer had a total of 6 fully running franchised outlets. As the numbers increased their demand for more outlets also increased, so within a year’s time, they added 9 more outlets to their kitty. Till 2006, jumbo king was solely being handled by Dheeraj but in 2007, for better and experienced management skills they hired their first CEO and Dheeraj moved to becoming the Managing Director of the company. Dheeraj was also quoted saying that – As a promoter, I have to graduate from being a doer and an executioner to a culture creator! Anyway, the next big announcement that hit the nation was that they had been awarded as “New Concept in Franchising & most innovative Franchisee model”. It was now evident that they were now past the struggle stage and their graph also seemed to be going upwards, but a huge downfall came when recession hit the world. Their situation was really bad and the condition of their business was literally hand-to-mouth. They had to let go of many people from their staff including the COO himself. Dheeraj again was forced to take the front seat and drive the business. Many cost-cuttings also had to be done. Somehow they managed to come out of the mess. This is when they realized that a more stronger and sustainable business model was required. At the same time, they realized that their franchisees were running much tighter operations than they were doing at their own stores. So for the first time in 2009, they gave the company-owned stores to the franchisees. With this move, their sales increased by about 30 per cent and operating costs decreased by about 40 per cent and the store upkeep also improved. Looking at this they changed their strategy and started building their franchise network by keeping franchise fees at 6 per cent. 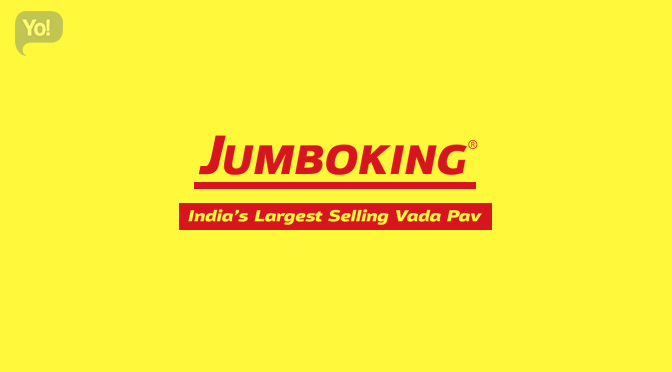 Following the same model, Jumbo King increased to a total of 53 stores in eight cities including some metros and smaller cities with a 100-per cent franchise system and by FY14 they made a turnover of approximately INR 30-35 Crores. And now after so many years of hard work when we look at their stats, they have crossed the sale of their 1 Millionth Vada-Pav. They currently have 65 franchises in 12 cities and with 200-250 franchise queries in bucket they are planning to increase to 500 outlets in the coming few years. With half of the year still to go, they have already crossed an INR 25-Crore mark and aim to cross 45-Crores by the end of FY15. The only thing that helped them come this long was their impeccable business model and veracious judgment.